Dinesh Rai, former Secretary of Ministry of MSME and Founder of Alliance of Industries Association recently visited Nagpur. He chaired the meeting with innovators. P M Parlewar, Director of MSME-Development Institute, Nagpur and B C Bhartia, President of CAIT, Nagpur called the meeting of innovators. Innovation generally refers to changing process or creating more effective processes, products and ideas for business. This could mean implementing new ideas, creating dynamic products or improving existing services. Innovation can be a catalyst for the growth and success of business and help anyone to adapt and grow in the marketplace. He appealed the innovators to get acquainted with the schemes and benefit. 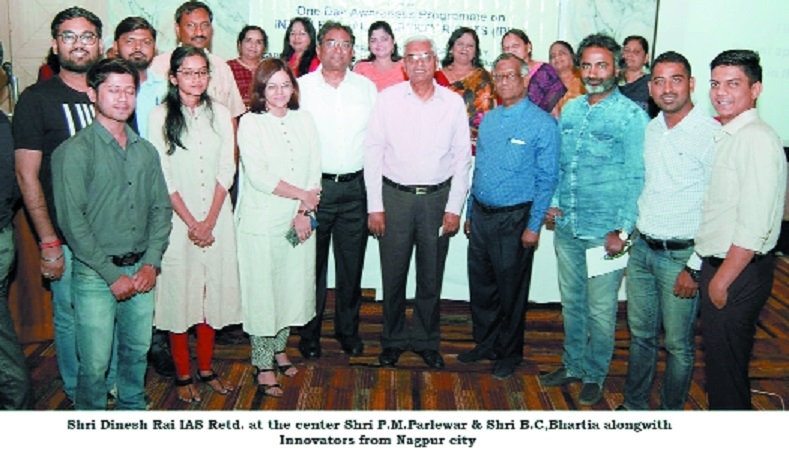 He said, MSME-Development Institute, Nagpur always help innovators with the help of incubation centres set up in various engineering colleges. MSME-DI wanted to set up maximum incubators in Vidarbha region. The new guidelines are now open for engineering colleges, as well as for NGOs. B C Bhartia said, The Alliance of Industries is national-level organisation catering to the needs of MSMEs all over the country. The industries associations of various states are the members of Alliances of Industries. The various issues related to the MSMEs are actively taken up by Alliance at policy makers level. Manish Jha of MSME-DI, Nagpur co-ordinated the meeting.